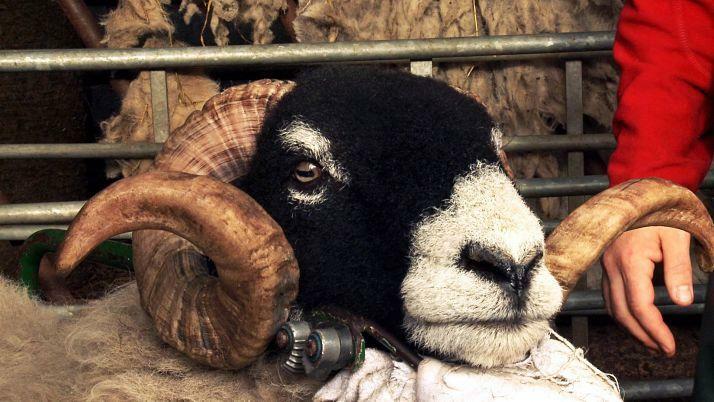 Last Shepard and Addicted to Sheep are two new documentaries released this week taking a humorous and heartfelt look at traditional rural Sheep farming. From the North Pennines to the Italian city of Milan, it is hard work requiring total commitment for little financial return. Why would anyone these days want to be a hill farmer or a tenant farmer at that? Addicted to Sheep, a new documentary coming out this week takes an inside, heartfelt look at tenant farmers Tom and Kay in the North Pennines, who spend their days looking after their flock of prized sheep, and hoping that this will be the year they breed the perfect one. Director Magali Pettier, herself a farmer’s daughter, follows a year in their lives, beautifully capturing both the stark, stunning beauty of the landscape, and the brutally hard graft it takes just to survive. Their three children are growing up close to the land, attend a school entirely comprised of farmers’ children, and totally contained within their rural world. As the months pass and the seasons change the couple help birth, groom, nurture and sell their sheep – even when the odds often seem stacked against them. A treat for the senses, Addicted to Sheep immerses us into the muddy field without leaving the cinema. The Bertha DocHouse will be screening a special showing with a Q&A from director Magali Pettier on Saturday 29th August and screening the film the whole of the following week. Following the release of Addicted to Sheep the Bertha DocHouse are also screening another fantastic documentary on the subject but leaving the shepherds of Northumberland and moving to the to the 'larger than life’ story of the last travelling shepherd in Italy, Renato Zucchelli. Renato’s dream is to herd his 700 strong flock of sheep from the lower slopes of the Alps through the inaccessible streets and into the city to meet a group of children who, remarkably have never seen the animals before. Director Marco Bonfanti employs a very Italian humour as he follows Renato and his toothless sidekick, Piero, travelling from mountain pasture to city square In Milan. Through them we witness a city and a way of life that has adapted and changed dramatically. The Last Shepherd is a beautiful story of one man’s drive to fulfil an eccentric dream, combining the chaos of the rural with the chaos of the urban city. Films like Addicted to Sheep and The Last Shepherd give a glimmer of hope, and an inside look into the few people left today who still believe in keeping ancient agricultural traditions alive in the modern day whilst most of the odds are against them.